You know the feeling. You’ve started a new diet, and Monday feels amazing. You’re a little hungry, but you’re eating clean, so you know your body’s happy and functioning better. You’ve cut carbs, salt, caffeine, dairy, and sugar, and you’re bursting with energy and dieting righteousness. You even lose 2 pounds by Wednesday! But on Thursday night, you have a work event, and there’s no food that you can eat. You suffer through the evening, and towards the end of the night, you’re completely starving and you sneak a brownie just to stop the feeling of your gnawing stomach. On the way home, when your resolve finally completely breaks down, you grab takeout from your old favorite spot, and end the night in a pint of ice cream. The next morning, you do an extra 30 minutes on the bike to burn off the calories. You vow to do better. Tomorrow. Next Monday. Next week. Next time. These shame spirals – huge spikes of virtuous eating followed by equally devastating crashes into old habits – are toxic for progress, but even more toxic for your mind and emotions. When I work with clients, the goal is not just eating healthier and exercising more. It’s also about building a healthy relationship with food and exercise. Health is more than physical – it encompasses the mental, emotional, and spiritual dimensions of life, as well, and it’s hard to untangle these components. Building that healthy relationship with food and exercise is essential, so that you know what to do not only while you’re working towards your goals, but also what to do once you reach your goals. Black and white lines separating “good foods” from “bad foods” creates a very difficult and bumpy road to success. If you even can reach your goals using a modality like this, you have likely developed a dysfunctional relationship with food along the way. But the great likelihood is that these epic ups-and-downs will stall you out before you can see any real progress. But mostly, it’s not a happy headspace in which to live. I truly believe that “clean eating” is simply a new – and more enlightened-sounding – euphemism for dieting. It’s new. It’s trendy. But time will not be any more forgiving to “clean eating” than it has been to Atkins or Slim-Fast. It sounds like it’s based on better principles than something as restrictive as the Grapefruit Diet, but in reality, it’s just another metric by which to divide foods into “good foods” and “bad foods.” And as long as we keep doing that, we stay stuck in the rut. We feel emotionally great as long as we’re “eating clean,” but we fall off the wagon Thursday through Sunday and promise ourselves that we’ll do better next week. It’s a negative cycle that builds powerful associations with foods, and shame about the self and the physical body. So let’s re-frame it. Instead of just shifting the language, let’s totally change the paradigm. Instead of focusing on “good foods,” or “bad foods,” let’s focus on a new metric for success – one that’s morally neutral. How do you feel on this plan? Is this plan working with your lifestyle? What are the results of this plan? When you can erase the lines of “good” and “bad,” we’re just left with practicalities. Does the way you’re eating and exercising add to the quality of your life, or detract from it? Is the way you’re eating and exercising realistic and livable? Are you getting good results on a month-by-month (note: not day-by-day) basis, and consistently moving toward your goals? If you can reduce your decision-making about your eating and exercising down to these three simple questions, you will have a stable ground from which to make more nuanced decisions – like which foods should make up the majority of your diet, which foods should be sprinkled through your diet, and which foods should probably be eliminated or avoided. To be clear: a trigger food is not a bad food to be avoided at all costs. We’re not there yet. Instead, it’s a food that tends to elicit overeating. It’s that simple. Think about the foods that – once your hand is in the container – it is difficult to stop eating. Pizza checks all the boxes, as do brownies and doughnuts. Ice cream, pretzels, French fries, potato chips, flavored/candied nuts, chocolate, and most fried foods also fit the profile. On the other hand, you’ve probably never lost yourself in a bag of spinach. You may have taste preferences, but in general, these foods exercise the same attractive effect on everyone. The desire for hyperpalatable foods is something that is wired into us as a survival mechanism. This means that it takes concentrated planning to eat sufficient vegetables each day, but we could effortlessly blow through the recommended upper limits of sodium, fat, and sugar without a second look. Our food culture doesn’t help this quandary – the foods that are cheap and highly available play into our natural desire for palatability. This is why I spent the month of March talking about “Trigger States.” Your state of mind – the context of your eating scenarios – will drive the majority of your food decisions. When you are chronically stressed, under-rested, or somehow emotionally over-drawn, the great likelihood is that you will be more drawn to these seductive, hyperpalatable foods. When you are maxed out, your internal resources and motivation are simply not sufficient to buoy you, and these are the times when most people “act out” with food. Food is a natural soother, and at those times when you’re burned out – at night, after work, for example – food seems like a viable shortcut to serenity. 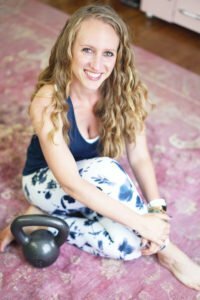 This is why I am so rigorous with my clients when it comes to cultivating better balance and stress management techniques. It’s not about about having the “perfect diet” or the “right exercise plan.” Instead, when my clients can nail the basics of self-care – sleeping sufficiently, tending to relationships, and developing self-management habits – hyperpalatable foods lose some of their power. So How Should We Deal with Trigger Foods? We start with stress management and overall lifestyle, but at some point, we have to be realistic about the fact that foods that are high in calories, fat, starch, and salt should not make up the foundation of our diets. To make sure that we don’t slip back into overlaying moral qualities onto food and eating behaviors, let’s use an analogy: spending. Despite the fact that using a budget is extremely similar to practicing sensible eating strategies, spending habits rarely get caught in the shameful, toxic crossfire of moral values that besets eating. Most people agree that it not a good recipe for financial health to spend more than you make. Moreover, you want your money to go as far as possible, maximizing both your present and future quality of life. If you have a $2000/month budget, for example, it is immaterial whether you choose to spend $500/month or $700/month on rent, as long as your budget is balanced. Basic budgeting principles would recommend certain percentages, but it’s only a guide, as long as the numbers all shake out in the end and all obligations are met. Of course, if you choose to spend $1800 of your budget on entertainment each month, your money will not go very far, so that is obviously not recommended. But we often do not exercise the same neutral logic when it comes to food. The problem is that – because of the cultural and emotional load that we carry around food and weight – we don’t pause to think about the problem in a logical, self-caring way. Instead, we often bounce between entitlement (“I deserve this!”) to shame (“Why do I mess this up every time?”). Can you think of “trigger foods” for yourself? The ones that are difficult to stop eating once you’ve started? Is it possible that – instead of demonizing them – they should simply make up a very small part of your caloric budget? That you should buy, store, and distribute them in ways that are safeguarded against overeating, because you know yourself? Small shifts in thinking like this can make a tremendous difference in our level of ease with both food, and with ourselves. Finally, sometimes it’s okay to completely cut out a food. It’s not restrictive or self-punishing. If it’s not contributing to your quality of life, you can experiment with eliminating it from your diet. But it’s important that you maintain an attitude of – as a friend of mine puts it – “humble curiosity.” Developing a healthy course of eating for yourself is a journey that has curves along the way, and sometimes you can’t see around the corner. 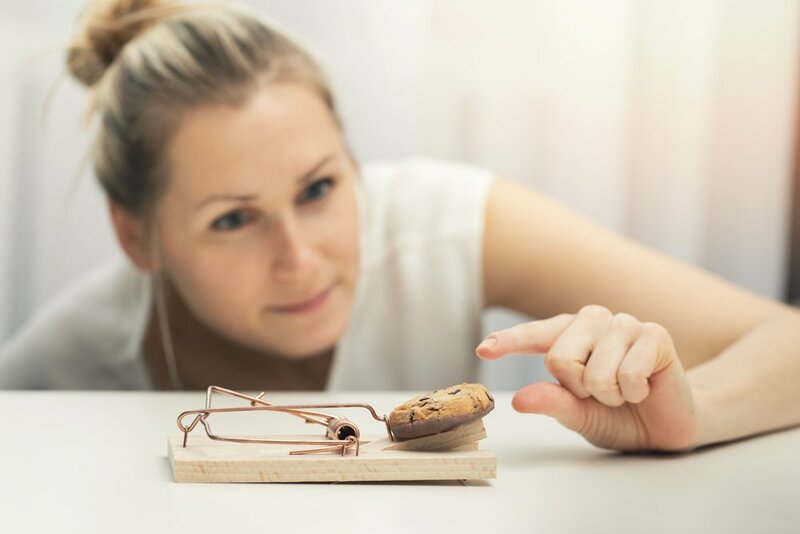 You can always say, “For now, I’m not eating fried foods.” or, “I’m experimenting with cutting out sugar.” You don’t know how you’ll feel a year from now, but you know that right now this food is not doing you any good, and you feel comfortable living without it. No food is bad. No food is good. How do you feel eating this food? Is this food working with your lifestyle? What are the results of eating this food? And then make an individual, informed decision about your eating, taking a step back and looking at your whole food budget. Last week in “Hormones and Weight Gain: Cortisol, Leptin, and Ghrelin,” we talked about how improving your relationship with stress can help manage your hormone balance and your weight. Which situations make you feel helpless? Which situations feel totally out of your control? Step 2: What can you do ahead of time to prevent this situation from happening, if possible? Step 3: What coping skills and self-soothing strategies can you implement during this stressful period to prevent mindless/emotional overeating?